How to Upgrade to GOTV Plus How do I Upgrade my GOTV Subscription? If you would like to upgrade your subscription on GOTV to GOTV plus, simply follow these easy steps using your phone.SMS ‘UPGRADE IUC NUMBER’ to 22688. Remember that GOTV plus subscription is 849 Kenyan shillings a month. You need to pay this amount before upgrading. You can see how you pay GOTV via Mpesa here. Your IUC number is the number on the red sticker under your decoder. Kindly note that simply paying the correct amount for the package you’d like to upgrade to does not automatically upgrade your subscription. If you ever decide to downgrade, you still have to do it on your phone or though your online account. Can you please connect my account ICU no.2017235004. I paid on 3/8/2015 and no connection till now. Sorry for the late reply. I hope you've been sorted already. Kindly follow the method in the post. Please use one of the methods listed in this post and contact GOTV with your request. Please can upgrade my bouquet to GoTv plus.My IUC number is 2017465198I and i paid on Kshs 850 on 03/01/2016 but still it not the all channels needed. When i view some channels it tells me I am not allowed to view such channels. Why? Please do something to help me. Kindly confirm that IUC number. The one you gave is incorrect. Please can upgrade my account ICU number 2004323991. I paid on Kshs. 850 on 13/10/2015 but still it not the all channels needed. When i view some channels it tells me I am not allowed to view such channels. Why? Please do something to help me. Hey Jeff, let me make that request for you. Hey, account is now active on GOtv Plus package. Hey Mom,Could you please upgrade my gotv value to Gotv plus?I already paid ksh 850 yesterday but all i can watch are the gotv value channels.My ICU NO. 2005179612.Thank in advance. How are you doing Ramezy? Your account has been upgraded. Happy viewing. Please upgrade my IUC 2015895467 to gotv plus, Kes 850 amounts paid. Hey Jonathan. Your account is now active on GOtv Plus package. I'll have them reset your account. From the amount you've paid, I'm also assuming that you need to downgrade to GOTV Lite. If not, just let me know. Your account has been reset. Enjoy. Kindly confirm if your account was reset. I've requested GOTV to reset your account. Give them a few minutes. You are currently on GOTV Plus. Enjoy. ho do i pay using equitel? Samuel, just give me your IUC number and I'll have your subscription upgraded to GOTV Plus. I've requested GOTV to downgrade your subscription. Give it a few minutes. Please upgrade IUC 2014216964 to gotv plus.I have paid today sh 850.
i paid 950 shillings last week and i really need my channels back. please help. kindly help me upgrade to gotv plus.paid the 250ksh for top up. 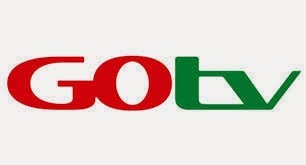 Please upgrade to Gotv Plus IUC No. is 2016131045. I have already made payment. You want it upgraded to GOTV Plus? i paid 947 on 15.10.2016 kindly update my gotv icu 2018686010. Hi ijust paid ksh.640 for icu.2017472770.would like to upgrade to gotv plus..do ijust pay the balance? Kindly upgrade my subscription from Gtv lite to Gotv Value, l just paid ksh470. Tried to upgrade on line but can't upgrade. I paid 1299 yesterday and my Uic no. 4622981832. I even phoned in to the helpline and i am still not upgraded. Can you help me? Kindly help upgrade my gotv bouquet to gotv plus. Here are the details;IUC Number-2018735205, NAME- Solomon Tunde, COUNTRY -NIGERIA. Thank you. Hello, is it possible u upgrade my gotv to gotv plus despite my current active subscription of kshs 499. In Kenya.